Aaron Pallas is the Arthur I. Gates Professor of Sociology and Education at Teachers College, Columbia University. 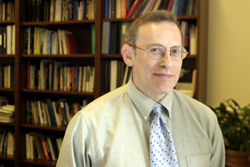 He has also taught at Johns Hopkins University, Michigan State University, and Northwestern University, and served as a statistician at the National Center for Education Statistics in the U.S. Department of Education. His most recent projects are explicitly designed to inform policymakers and other stakeholders about conditions in New York City public schools. Here, in conversation with Deirdre Faughey, he discusses a recent lecture he gave as part of the Endowed Professorship Series at Teachers College, as well as his current research on the implementation of a Common Core aligned, iPad-based curriculum in five school districts around the country. He also reflects upon his experiences writing “A Sociological Eye on Education,” a blog he maintains at The Hechinger Report. Can we start by talking about a talk you gave, titled “Enigmatic Inequality in New York City Schools”? In your talk you said that over the past decade or so that schools have not changed, they are still inequitably funded. I was wondering if you could explain some of what the change efforts have been and why you think they have failed. Sure. One of the things that is complicated about school funding is that the money comes from different sources. Part of what the city uses to allocate to the schools comes from money that’s raised through local property taxes and some from state and federal grants, and the monies get combined but some of the sources of funding have strings attached. So, for example, there is a substantial amount of federal money through the Title I program that can only be used for certain schools that are above a particular threshold with regard to children eligible for a free or reduced price lunch, and can only be spent on certain things. The dollar figures don’t always reveal some of the constraints on what’s actually usable at the school level for supporting students learning. Initially, when I first started looking at this topic, the data that were available were school expenditure reports that the Department of Education publishes, usually a couple of years after the fact because they are audited expenditures. We were looking at 1999-2004 and seeing a lot of stability year to year. Some patterns reflected what we interpreted as political influences because up until 2002 elementary and middle schools were nested within the 32 community school districts in the city. These were really political units because they had local school boards that were elected and appointed by a district superintendent who had a fair amount of discretion in allocating resources across buildings and may well have rewarded some principals in some schools and punished others. Some of the variation that existed as early as 1999 was due to those kinds of political decisions that we, unfortunately, can’t really study. We don’t have access to data that would really tell us about how that worked. So, we saw stability. And then I recently revisited the data because I had published a paper on this in 2010 with my collaborator Jennifer Jennings at NYU, and so I went back and looked at what happened after the district had intentionally tried to create a more equitable system. What they called “Fair Student Funding,” which was a weighted funding formula that was intended to ensure that dollars followed students with particular configurations of needs to the building, so that a school’s budget would be based on the observed needs of the kids in the school. What I saw after that was implemented was really no change in the inequalities that existed across schools. So, why didn’t that work? Some would say that it was never really implemented in the way that it was intended, that the district had to create safeguards to ensure that no school would wind up getting a huge reduction in its budget by virtue of the new allocations. And, it was further complicated by how the city budgets for teachers salaries because there was a fear that principals would try to get rid of expensive, more experienced teachers, and replace them with cheaper, less experienced teachers, which wasn’t necessarily in the best interest of the school, even though it might have been economically efficient. So it was never a ground-up new budget. It was always still a kind of incremental tinkering with budgets that were known to be unequal, and that incremental tinkering wasn’t enough to fundamentally alter patterns. Yes. We saw schools that were geographically quite close, serving populations of children that seemed to be fairly similar, and yet there were substantial inequalities in the amount of money available to the schools. And when I talked to principals about the budgeting and spending process – it takes up a lot of time and is mysterious, and they need help from the network and district people to figure out how to try to manage the system. It’s thoroughly unsatisfying for everybody, in part because it’s more unpredictable than one would hope. Sometimes the unpredictability comes in the form of budget cuts. We haven’t had one of those for several years, but they used to be not uncommon – 2008, 2009, 2010. I wonder if we can talk a little bit about your current study of schools using iPads in Los Angeles. Sometimes people explain the use of technology as an equity issue in schools in the sense that you are creating an equalizing environment where everyone has access to technology. Do you see this as being part of the reason why Los Angeles schools have distributed iPads to students? Let me say a little bit about the project, and then I’ll say a little bit about Los Angeles in particular. The project is actually supported by the Pearson Corporation, which has developed a sequence of Common Core aligned courses across the K-12 continuum for which the primary delivery is the iPad. They’re trying to develop it for the Android as well, but I think they’ve invested more in the iPad side of things. Pearson approached the Teachers College arm of the Consortium for Policy Research in Education to do an evaluation of the implementation of the product. They actually call it the App – but the acronym is CCSOC (Common Core System of Courses). Our evaluation is actually taking place in five sites, of which Los Angeles is by far the largest and most visible and high-profile. High-profile because L.A. has a superintendent who was committed to purchasing an iPad for every one of the 700,000 kids in the L. A. Unified School District. He has had to bring along his board to support this kind of investment, and they are using what I think are really school construction bonds to purchase the iPads. And they haven’t purchased anywhere near the 700,000. They started out with enough for 47 schools to begin piloting the project this past fall, and expanded to another 32 schools in January. They’re still on tract to continue expanding the purchasing, but to date a very small fraction of the students in schools in L. A. have actually had opportunities to use the application. One of the complications is that John Deasy, the superintendent in LA, saw an opportunity and wanted to commit the bond money to purchase the iPads at a time when the product wasn’t really done yet. So that’s one of the things that we’ve been studying, is how does it work when a product that isn’t really done yet is being rushed into implementation. I don’t think that Pearson or Apple is thrilled about the fact that they’ve had to rush the start-up. Pearson in particular wants to see how students and teachers make use of the product and what are the consequences. It’s better to get a clear picture of that if you think the product is actually done. Part of the logic that John Deasy used was very much the rhetoric about the digital divide and seeing the implementation of iPads as a matter of educational equity, that this is a resource that in the absence of the program would be distributed highly unequally across families, and so providing access to all students to the technology was viewed as something that was an effort to equalize the playing field. One of the things is we’re getting ready to do is survey the teachers who have been working with the App. But the App is just a delivery system. What was exciting from the standpoint of Pearson was not anything specific to the iPad as much as trying to bring together people to develop a thoughtful curriculum and to see what advantages beyond the printed page could be provided by the iPad, which is partly a function of the technology but perhaps even more importantly the capacity that a network of devices develops for a teacher to be able to observe the progress of students in real time — that Jorge is struggling but Luis seems to have mastered a particular topic. So, as a teacher I could send a note to Jorge saying, “talk to Luis.” It’s about the ability of a teacher to be able to orchestrate instruction in different ways. We have no idea whether this is working or not. This is one of the things we’re looking forward to learning, is how are teachers using the capacities. Are they able to make use of the network organization to reorganize the social relationships in the classroom, or is it really more a matter of iPads being – to put it rather crudely – electronic worksheets. I think we would be unhappy if we determine that is the case, but that is a possibility. We just don’t know, but we are eager to learn what teachers see as the advantages of this application and whether they’re able to capitalize on it. Do you know if they received any training? They did receive training from Pearson and Apple. We did get some feedback on the quality of the training, and it was generally positive, with some variability. Teachers with some experience with iPads were kind of insulted by training that consisted of, “Step 1: Face the iPad.” And I think that they were frustrated by the fact that at the time that they received the training, the application wasn’t done yet. So they were working with partially functional products and lessons. Over time the units and lessons are being fleshed out, and so we’ll have a better picture of how things are working as more of the application gets available to them. I wonder if we can move to your own social media presence and talk about your blog on The Hechinger Report. Recently, I’ve heard some criticism of academic writing as being too limited to a scholarly audience, and I was wondering about your writing at The Hechinger Report and how you think about it. Are you trying to reach a different audience when you write on your blog? Have you had a different experience with your readers when you write in that way? One of the peculiarities for me is that I don’t get that much feedback on my blogging. Occasionally someone will say, “Oh, I read what you posted and I liked it.” But I know that for some of the people who follow me, it’s like preaching to the choir. They’re ideologically aligned with me, and so they’re going to like what I write because they have a sense of the kinds of positions I’m likely to stake out. Other things that I write, I’m clearly reaching a broader audience that I’m just not always aware of. But the purpose of the blogging, it is very much intended to be for a non-academic audience. I have a very privileged position – I’m a tenured full professor at a major university, and so I’m not having to jump through the same hoops that I did earlier in my career in trying to make a claim about my contributions to a scholarly community. I still think of blogging as scholarly, but it’s intended to reach a different audience and write in a different way and try to rely more on metaphor and terminology that’s more accessible to a broader audience than would be likely to read a technical article in a professional journal. I got into it in part because I thought that there were distortions in the policy discourse. There were claims being made that just weren’t well supported or substantiated. That was certainly my perspective about the way in which school reform in New York City was being portrayed by the city itself. I saw my position as a role that was trying to provide some balance, a kind of corrective or critical perspective on claims – trying to use evidence to explore or critique arguments. The same thing is I think is true now for claims that are made on the national playing field, arguments that come out of, say, the U.S. Department of Education, or policy think tanks in D.C. So, yeah, it’s very much explicitly an effort to try to communicate in a different way to a different audience. It’s resulted in greater opportunities for me to use the traditional media as a means of communicating as well. Not because I initiate them, but because a reporter might have seen a blog post and would therefore think that I might have something interesting to say on whatever the news cycle topic of the day is. So, I might get a call to comment on something. I do wonder about the positioning of this kind of work in a scholarly career. I’d like to see it be something that’s not dismissed simply because it’s not directed at a scholarly audience, but I know that’s something that many institutions are trying to figure out. How does this count in terms of the traditional criteria for promotion and tenure, since it’s not so closely linked to a particular discipline or scholarly community, but I’m still hopeful that there’s a place for it. Would your advice to a younger scholar, or someone starting out, be to try and write in different ways and to try and get your ideas out there for multiple audiences? Or, would you say wait until further on in your career? I think it depends a great deal on the institutional context. The major message is figure out what’s valued by your institution, or your employer, and try to learn what’s valued in that context. Not to be purely passive about it. I think it’s appropriate to try and get people to see things differently, but figuring out at what career stage it’s appropriate is tricky. I waited a long time, and of course it never occurred to me for a long time, but I now have students and younger colleagues who are engaged in this and unfortunately there just aren’t many rules out there about what to do. 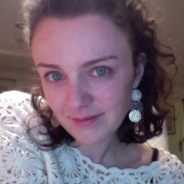 Deirdre Faughey is a doctoral candidate in the Curriculum and Teaching Department at Teachers College, Columbia University. She completed a Masters degree in the Teaching of English from Teachers College, and a Bachelors degree in Literature and Creative Writing from Bard College. She currently works as a Research Assistant for NCREST, and is the Managing Editor of International Ed News.